At the urging of her mother, who was a music teacher, Julia Earle started playing violin, and later viola, at the age of seven. A Sacramento native, Julie performed with Michael Neumann and the Sacramento Youth Symphony throughout her middle and high school years. She attended the University of the Pacific Conservatory of Music and graduated with a bachelor of arts in music performance from California State University, Sacramento. From 1986 to 2000, Julia played viola with the Stockton and Modesto symphonies. She is a founding musician of the Folsom Lake Symphony Orchestra and is currently serving as the assistant principal viola. She is on the board of the Sacramento Youth Symphony and is active with her church worship programs. 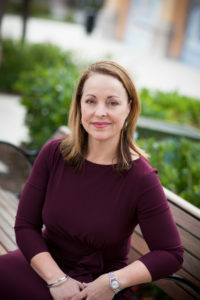 Julia has been a financial adviser in the Sacramento Valley for more than 25 years. She lives in Shingle Springs with her husband, Calvin, and their three children. In her free time, she enjoys hiking, gardening and traveling with her family.